When you'll be traveling through the dark cold of winter, you must take the proper precautions. Any Ravenclaw would tell you that. And the Hufflepuffs would be warning you to be safe. The Slytherin would tell you that there are no rewards to be found without the ambition to go after it! You are a Gryffindor, though. You know that the real reward of anything is the adventure itself! Whether you've got winter weather or just need to show your lion pride all year round, we've got the perfect accessory. It is time to choose your House once and for all with this Gryffindor House scarf, officially licensed from Harry Potter. 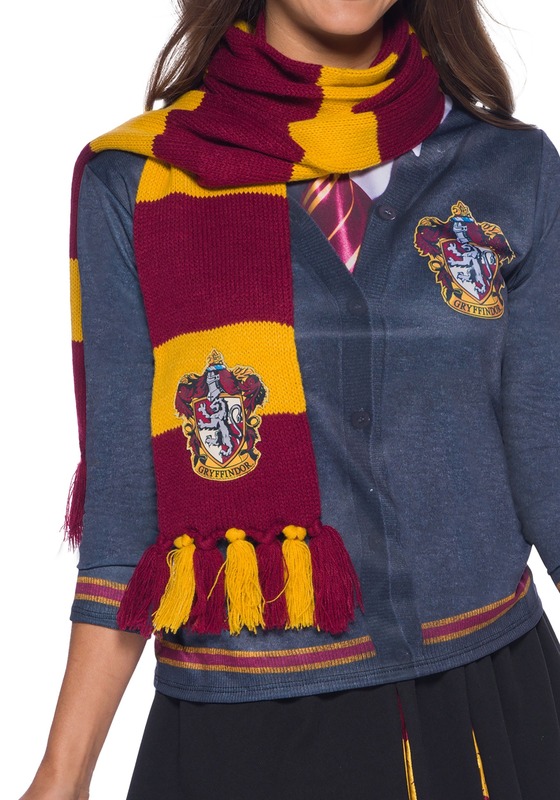 This is a 72-inch knitted scarf with 5-inch knotted tassels at the end, all featuring the iconic color scheme of the House of the Boy Who Lived. 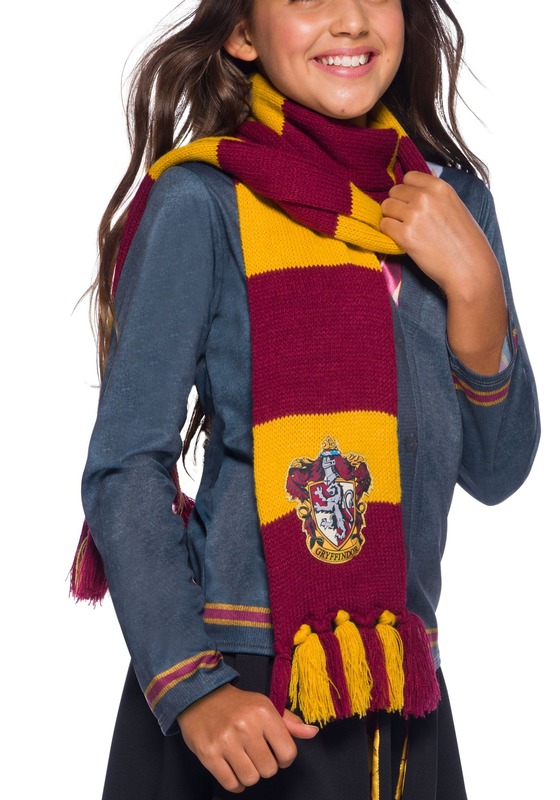 Feel the warmth of the scarf and wonder if perhaps there is just a hint of the Wizarding World in it! We're pretty sure that you're perfect for Gryffindor and that this scarf will make for an excellent part of your collection. Of course, that doesn't mean that the Sorting Hat can't give you some exchange program options and let you get the other House scarves, too!